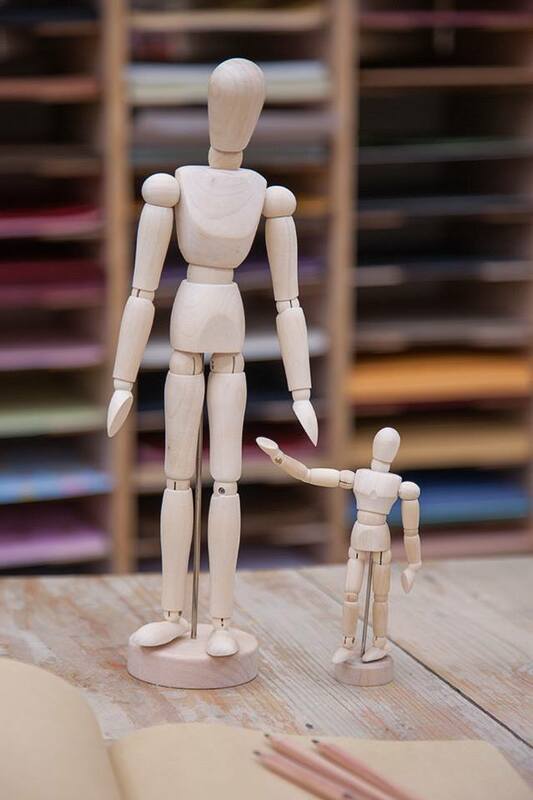 At just 32 cm tall our wooden figures have the exact proportions of a human body making them the ideal present for aspiring artists. These lifelike figures are also great fun to personalise and, with the help of our felt section, would make a striking nativity scene. So whether you’re looking to create realistic observational drawings or just festive Father Christmases our drawing models are sure to add a sparkle to your Christmas. Also look out for our petite 13cm figures a wonderful bargain at just 2.75 a piece.